You will learn how to achieve an edge to edge quilting motif with your embroidery machine & hoops! No Longarm necessary! We will practice this technique on a Sample 36" x 36" quilt sandwich. Class fee includes 1 day instruction and 1 sample design that will be loaded the day of class. 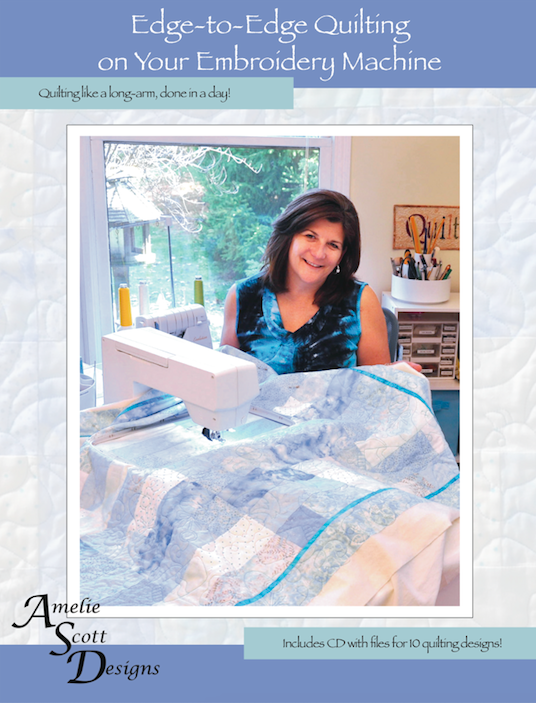 Every student must have a legal copy of Amelie Scott's book Edge to Edge Quilting on Your Embroidery Machine. Price includes instruction and 1 sample design to be loaded the day of class.